No expensive software or a design degree required! Quickly make amazing YouTube banners, Facebook ads, Instagram posts, Twitch banners and much much more. Making great-looking banners is super easy with Placeit’s online banner maker. 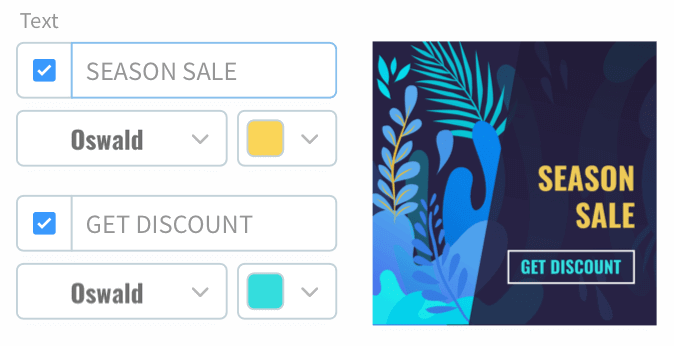 If you can fill out a form, you can create stunning banners. Placeit’s banner maker lets you take one design and with a single click, download banners formatted for every platform. 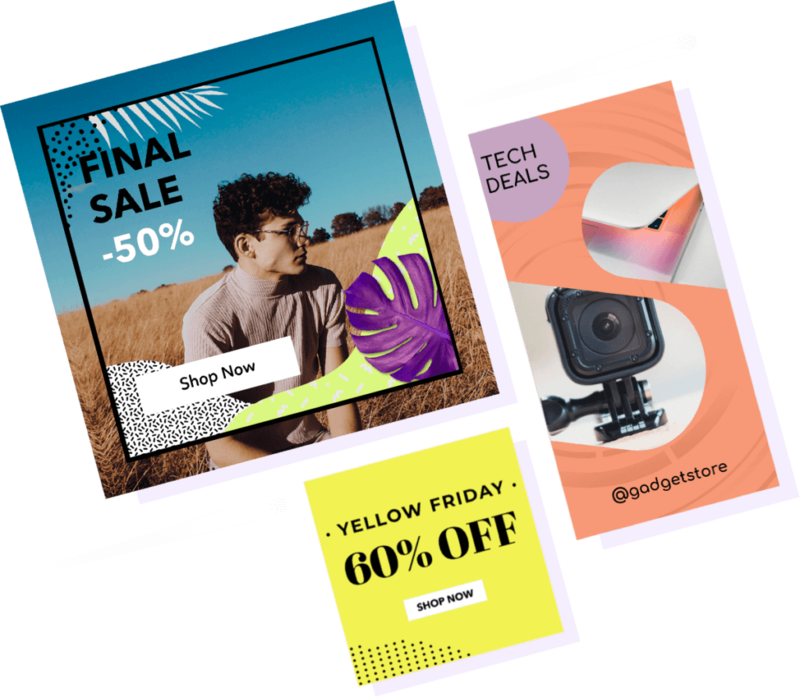 Choose from thousands of professionally designed banner templates for YouTube, Instagram, Facebook, Twitch and Twitter. Every successful channel needs great YouTube channel art and striking thumbnails to attract new viewers, get subscribers and keep them coming back to watch the latest videos. With Placeit’s YouTube banner maker, channel art templates and thumbnail maker you have all the tools you need so your channel stands out and looks professional from day one. Make sure your viewers can recognize your channel no matter where on YouTube you comment. YouTube profile picture maker lets you create a bold and iconic profile picture that can proudly represent your channel across YouTube. Design stunning YouTube thumbnails that will pique viewers’ interest and keep them watching your videos. With 160+ templates, and more added constantly, Placeit’s YouTube thumbnail maker has the perfect thumbnails for your videos. Create a brilliant YouTube banner for your channel that will complete the branding process. Let viewers know exactly what they can expect from your channel with a striking YouTube banner. 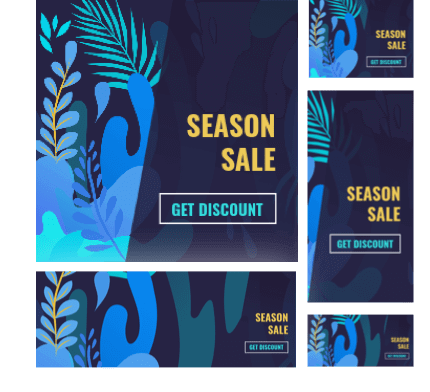 Pick from over 130+ YouTube banner maker templates. The competition for attention on Facebook is fierce. Make sure your posts and ads look amazing and receive the attention they deserve with Placeit’s Facebook post templates, cover makers and ad templates. Don’t waste time with sketchy tools or apps. Simply pick a template, edit the text and colors, download and post. 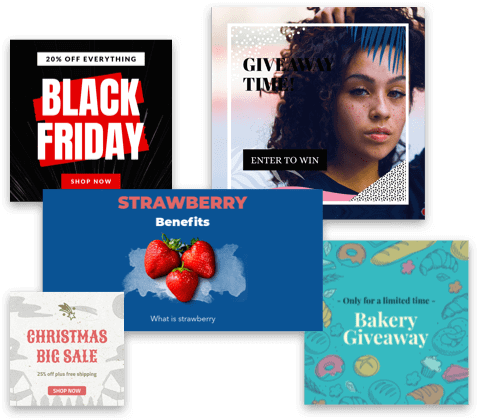 Create amazing posts that stand out with Placeit’s Facebook post maker, with tons of eye-catching designs and layouts that are perfect for creating everything from fabulous giveaways to inspiring quotes! 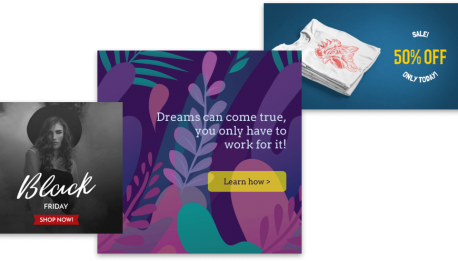 Design irresistible Facebook ads without any design skills. Simply pick a Facebook ad template, add your image, edit the text and colors and done. There’s never been an easier way to design great-looking ads for Facebook that convert! Make sure your stream looks professional from the first game session. Start off on the right foot with a slick Twitch banner and offline banner. Get back in the game faster with Placeit’s easy to use Twitch banner makers! Simply pick a template, add your handle and done, it couldn’t be easier. Set-up your profile like the pros with a striking Twitch banner that quickly lets viewers know what your stream is all about! Placeit’s Twitch banner makers let all types of gamers create spectacular banners to brand their streams. Don’t leave your viewers hanging! Let fans know your stream will resume shortly with Placeit’s offline banner maker. Just choose a template, add your social media handles and done, get back to delighting your viewers and let Placeit do the rest. Create Instagram ready posts in seconds. Don’t spend hours coming up with creative post designs, let Placeit’s Instagram post template take care of the hard work. Just pick a template, upload your image, type your text and done. Just sit back and watch the likes come in. Create sensational posts for Instagram with just a few clicks! Choose from dozens of fantastic Instagram post makers and get back to posting and commenting sooner! Skip the sketchy apps filled with ads and give your posts a professional look. Design memorable stories with Placeit’s Instagram story maker. Show your followers all of your stories are Instagram gold with dazzling Instagram story makers. Spend less time coming up with creative ideas and more time sharing! Brand your Twitter profile with a strong header image! Easily create a stunning Twitter header that gets readers’ attention and lets them know why they should follow you. Nothing to download and zero design skills required. "I have nothing but great things to say! 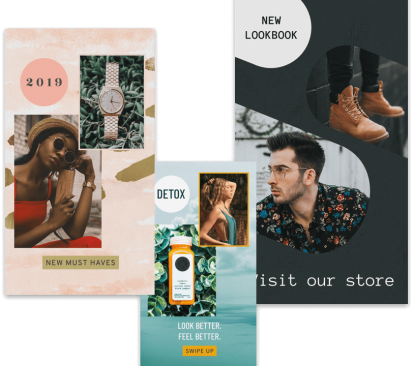 Since I'm not experienced with Photoshop and don't have a designer on staff, Placeit makes it really easy for me"
With a Placeit unlimited subscription, you get unlimited access to all these professionally designed banner templates and much more. If you’re ready to take your banners and posts to the next level, subscribe today and start outshining the competition! 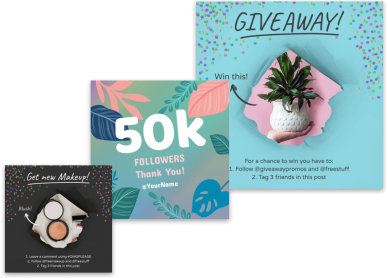 Create Social Media Graphics in 5 Minutes!